A few of you might know that I have some awesome custom print dresses, so I thought I would write down what the deal is with them because people always ask me about them. Aren't they awesome? If you want to check out full shoots of these dress or them styled you can look here, here, here or here. So many links! First off these are done by a company called CM, this is a British based company ran by the lovely Claire Maley. She decided to set herself up designing her own clothes and her own print designs, and she's mightly good. Every so often Claire opens up custom runs (gotta keep your ear to the ground because you don't want to miss them) and when they do it is goooood! You can pick any copyright free image and get it on a variety of great quality clothing. Unfortunately I have only the two pieces (poor student syndrome). Now on to the images:- these are both really special to me because they are my boyfriend's photos. Boyfriend is a photographer, you can see his Facebook here, and these are both his images. It is really amazing to see a photo you love getting transformed on to something for you to wear. 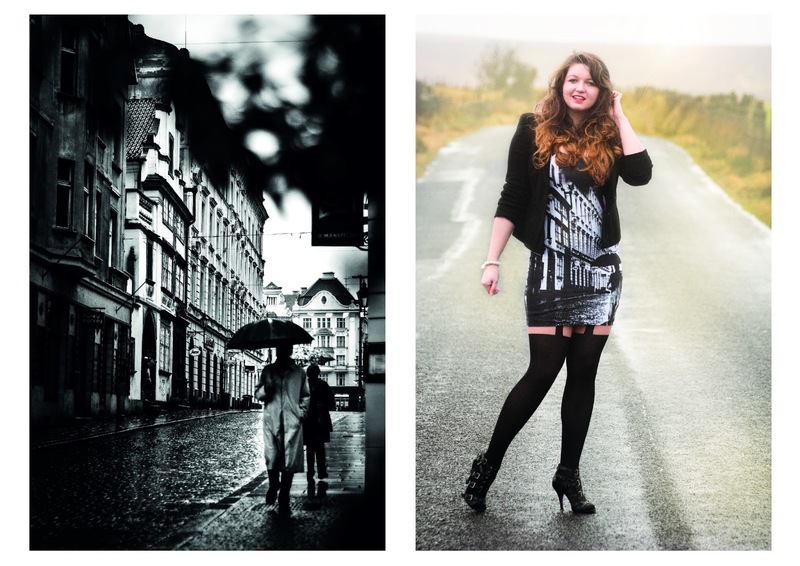 My black and white dress is from a picture Boyfriend took in the street in Pilsen in the Czech Republic. Whilst the other one is from our holiday in Venice last year. It was such an amazing holiday and I love the city, so it's so nice to have a reminder ON MAH BODY. It's such a good feeling to see the process and it looks amazing! But definitely check out the boy's photography page and CM. Ooh! And CM has a sale on right now, like some crazy stuff. 50% off on some great leggings, tops and dresses. I had a test today. It was hard and bad.